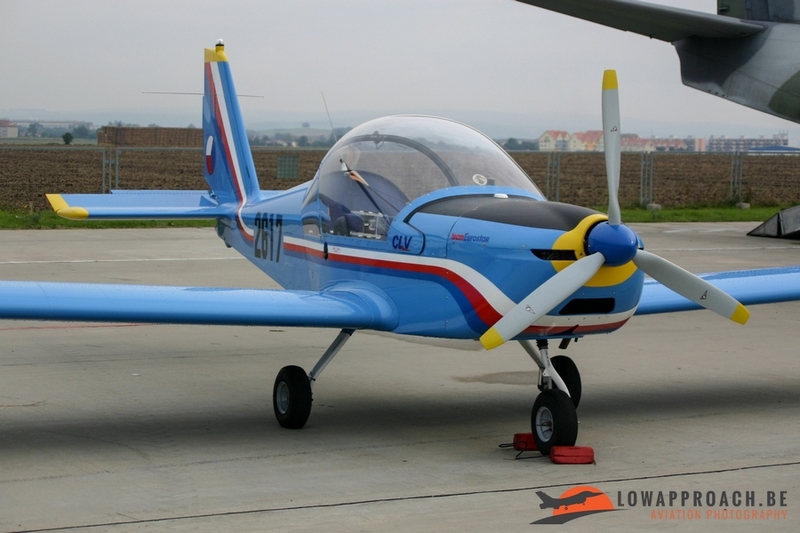 In 2006 Dirk went for three days to Brno for CIAF (Czech International Air Fest), he went there for the first time so with not much expectations he departed by car to Brno. 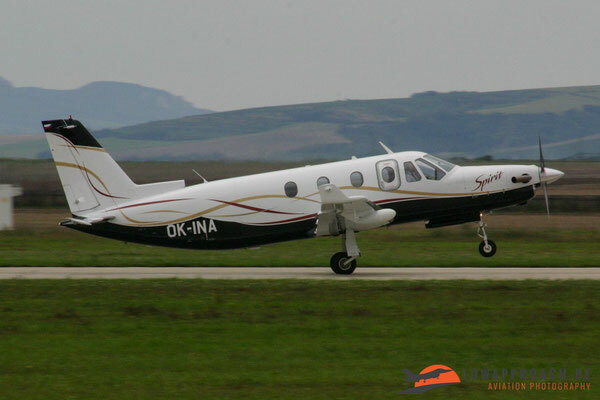 A trip from about 1000km. Brno Airport ( Full name: Brno–Tuřany Airport ) is an airport in Brno, Czech Republic. 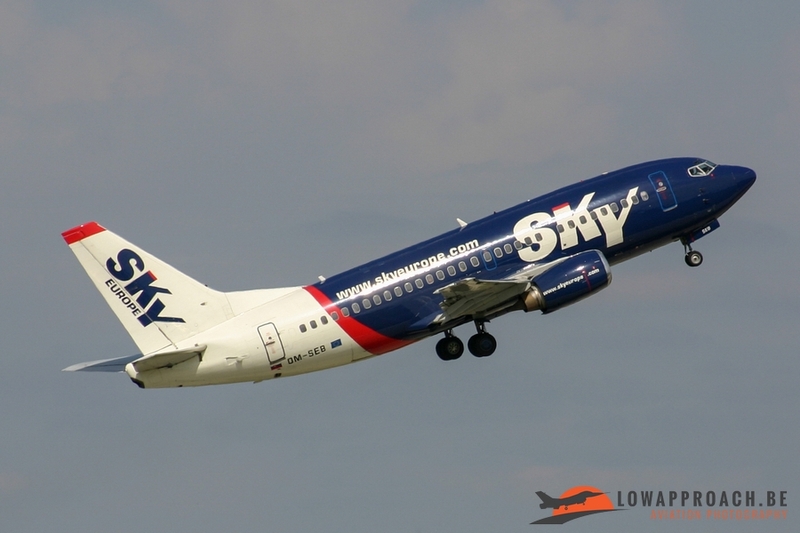 The airport was built during the 1950s as a replacement for the old Brno airport located in Slatina. 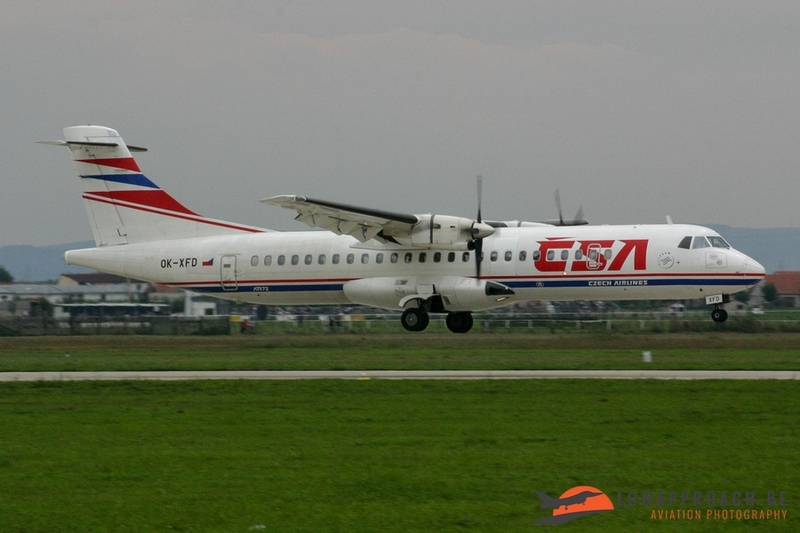 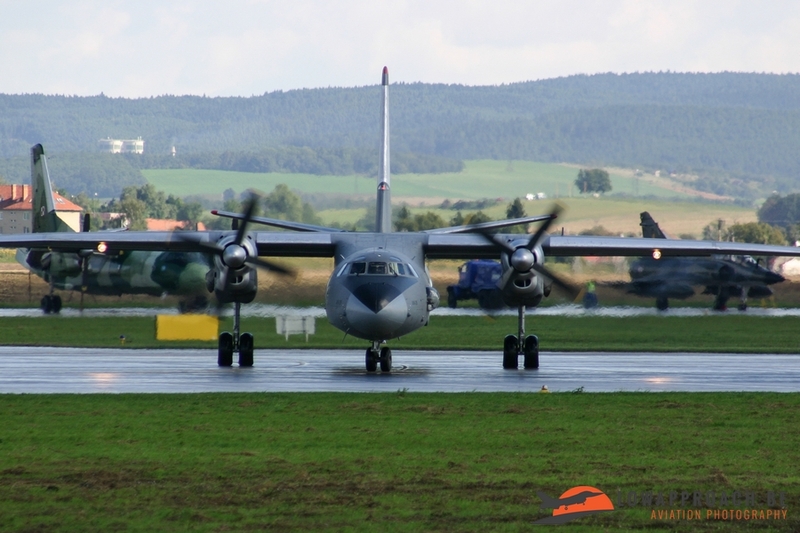 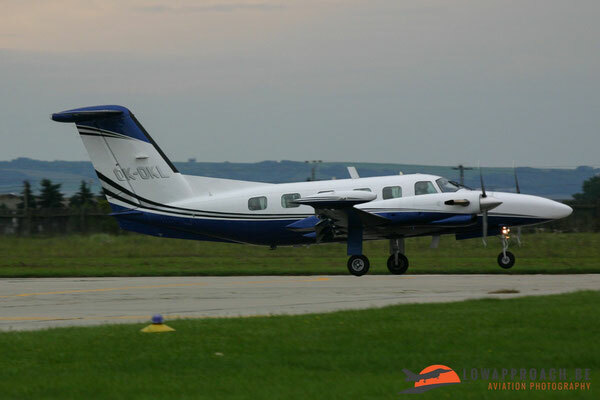 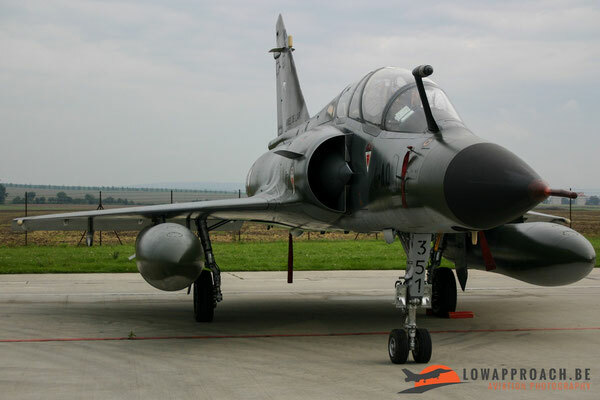 During the 1980s, the airport was handed over for use by the Czechoslovak air force. 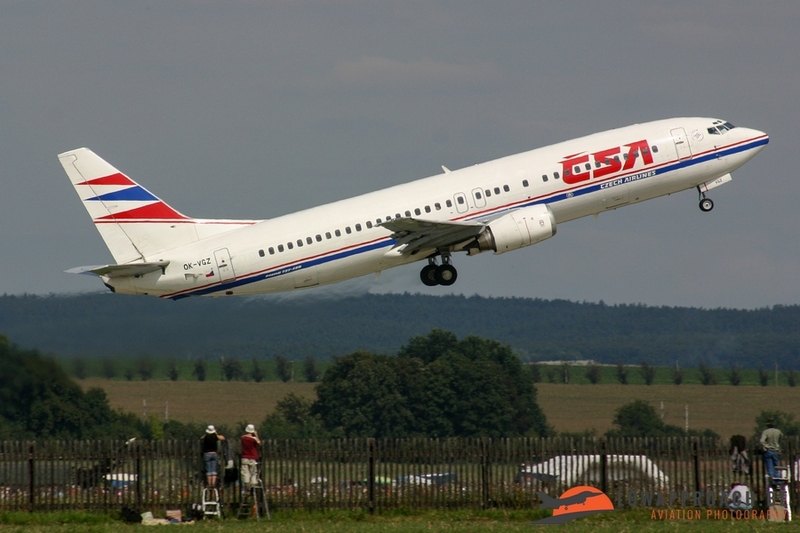 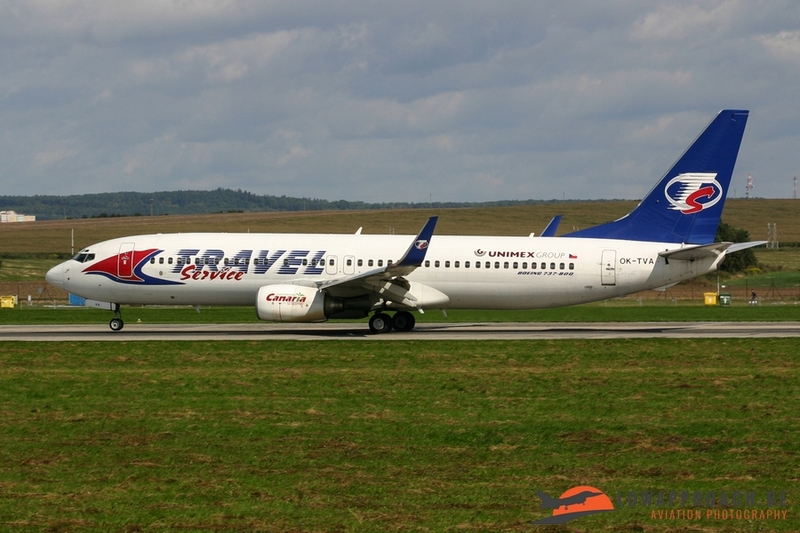 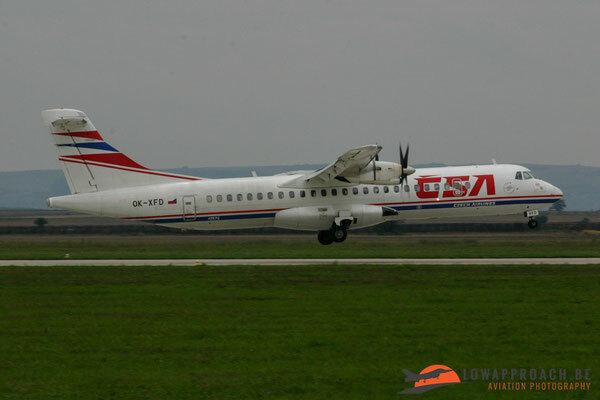 After the fall of communism in 1989, the airport returned to civil use and was operated by the state-owned Czech Airport Authority, so normally no military activity here except during the CIAF at that time. 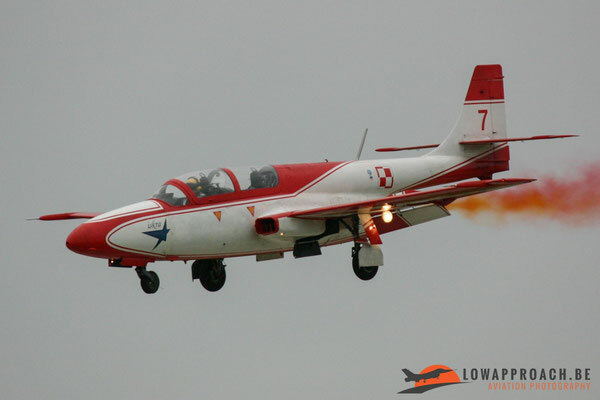 The last couple of years CIAF isn’t held anymore at Brno but at Hradec Králové. 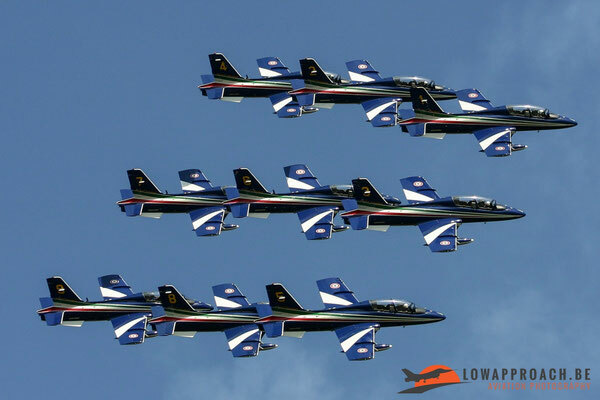 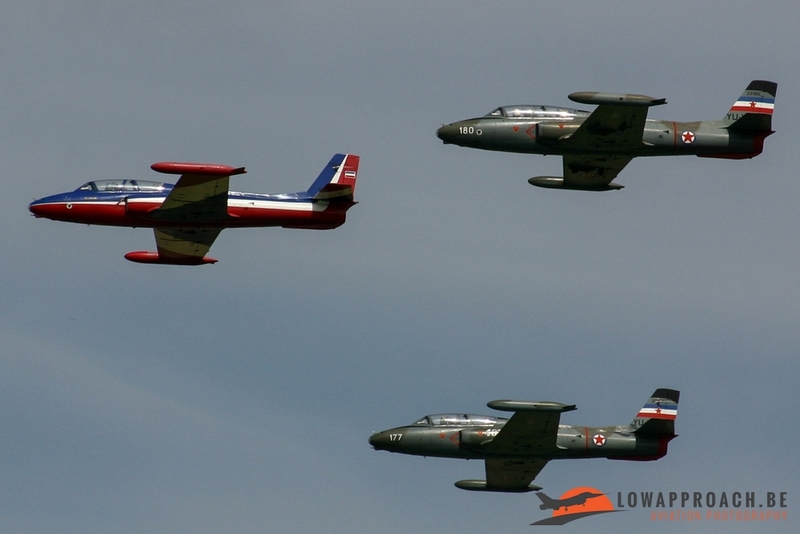 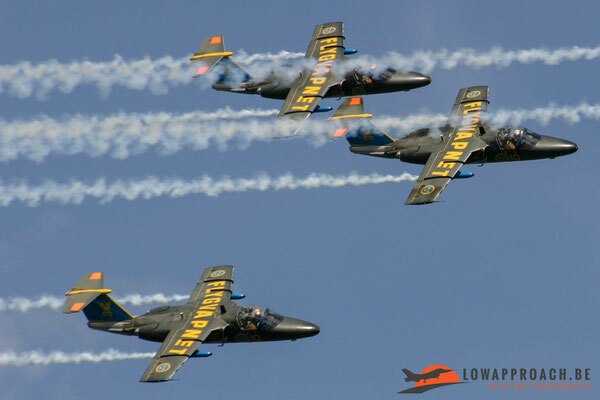 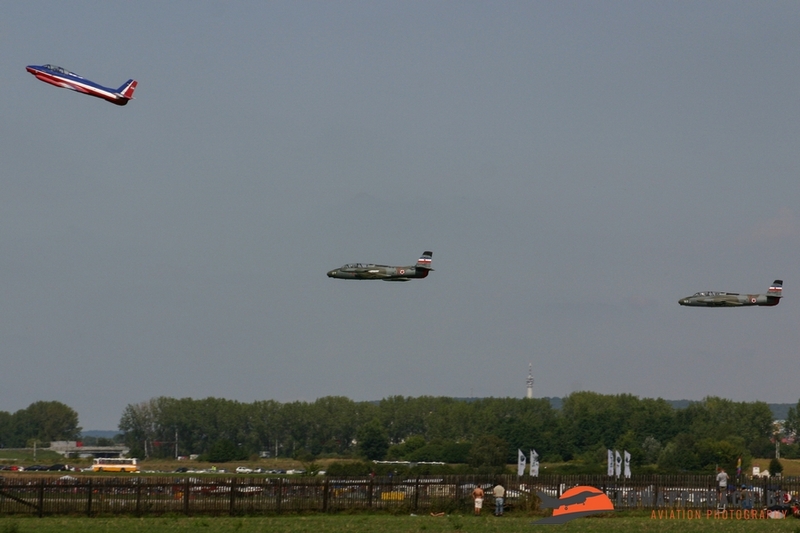 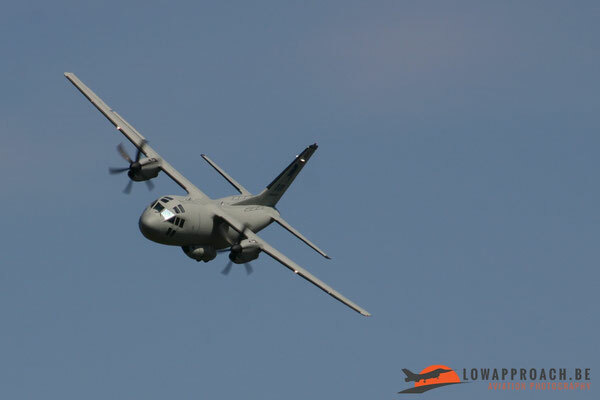 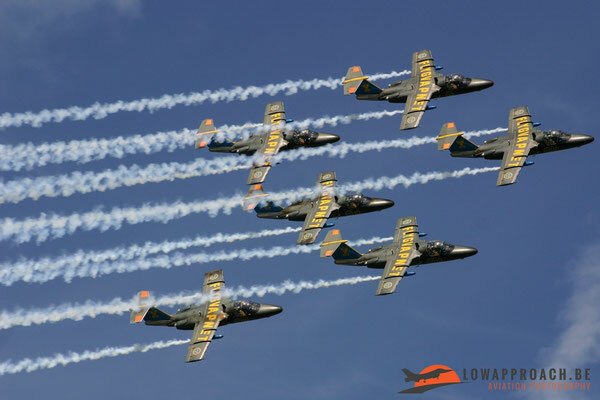 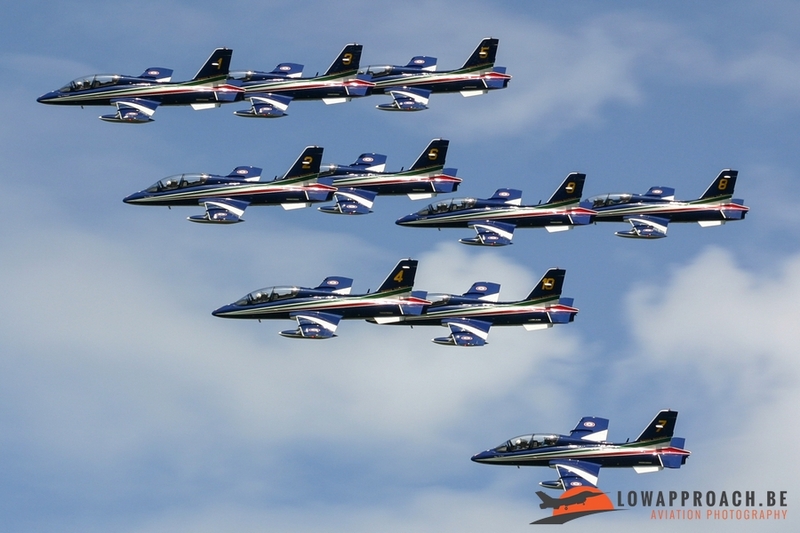 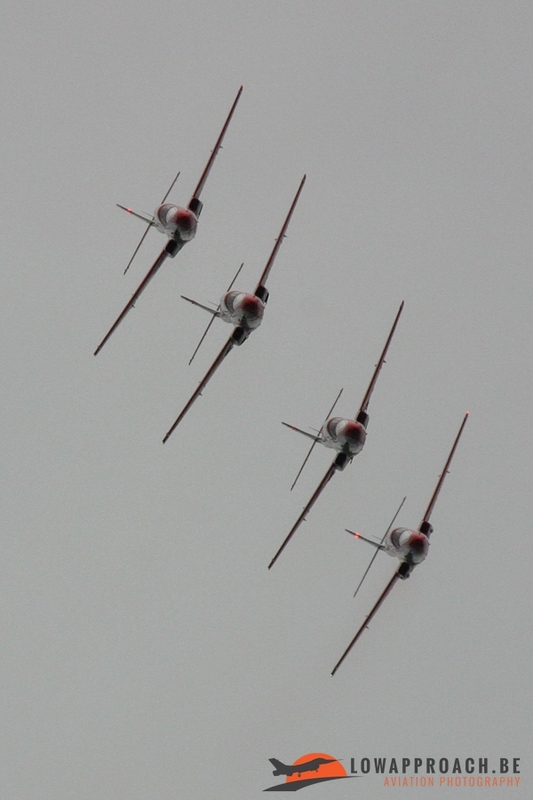 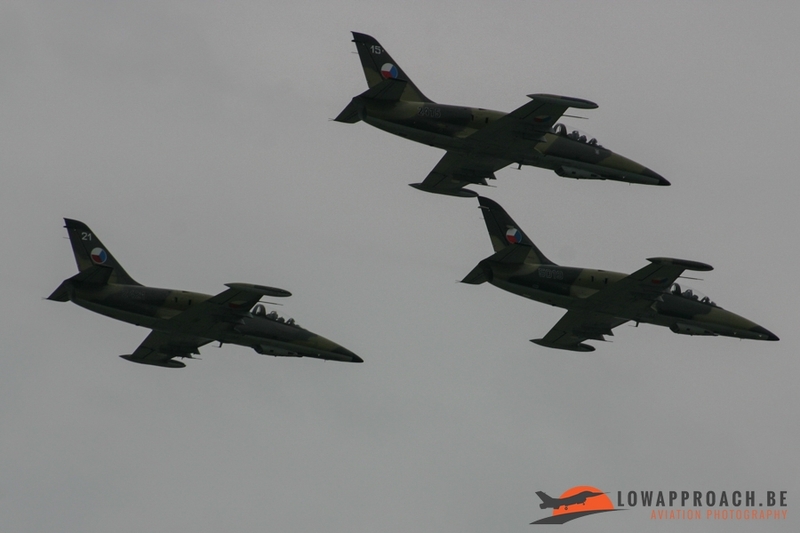 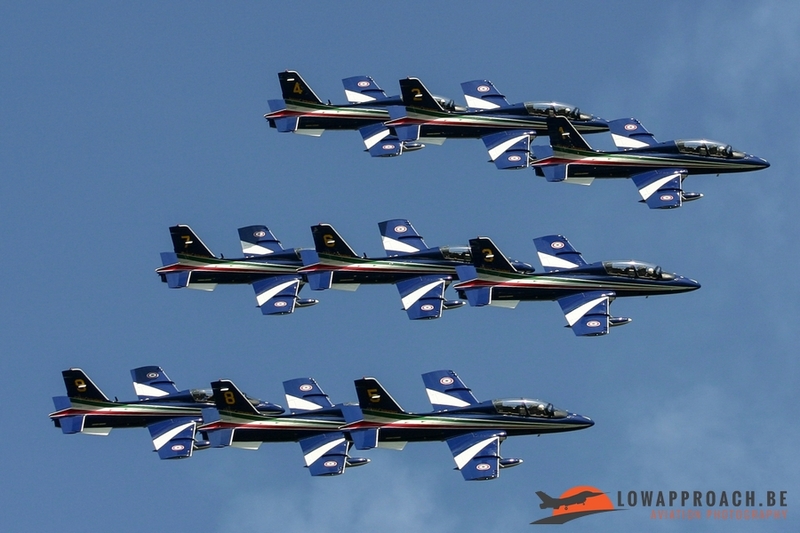 The flying started on both airshow days at 11am with a formation fly-by of the Czech Air Force. 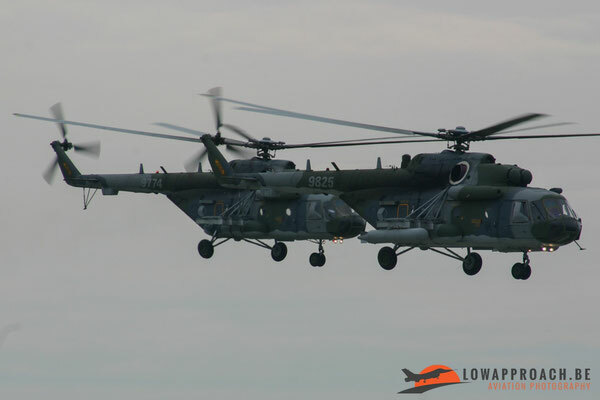 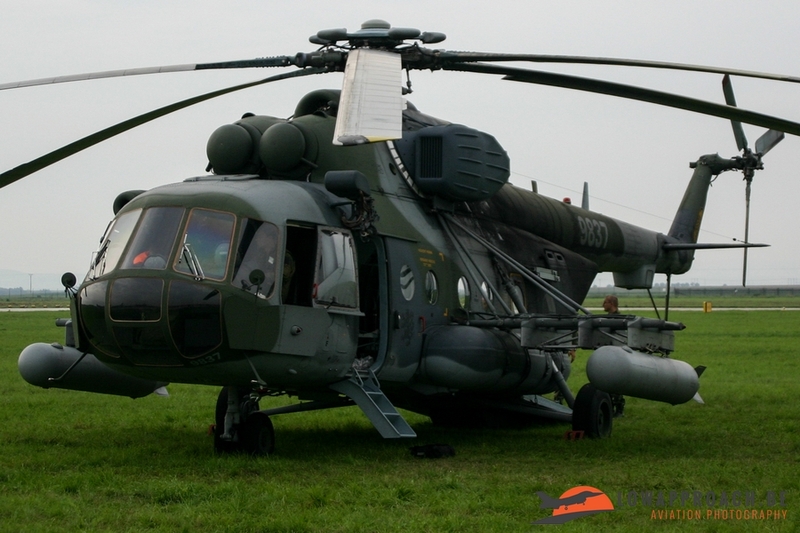 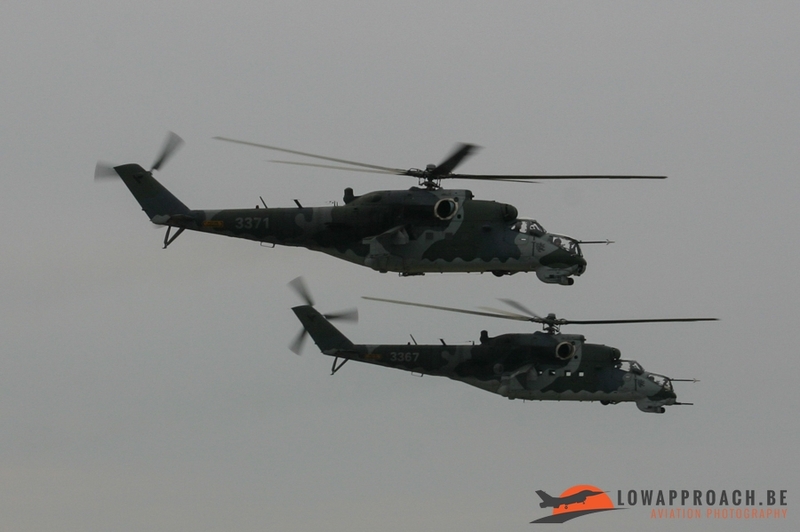 They showed nearly all their flying aircraft types, the fly-by consisted of 3-ships of Mi-17/171S, Mi-24/35, L-39ZA, L-159 and two JAS-39C Gripens. After the flyby’s the solo displays took place. 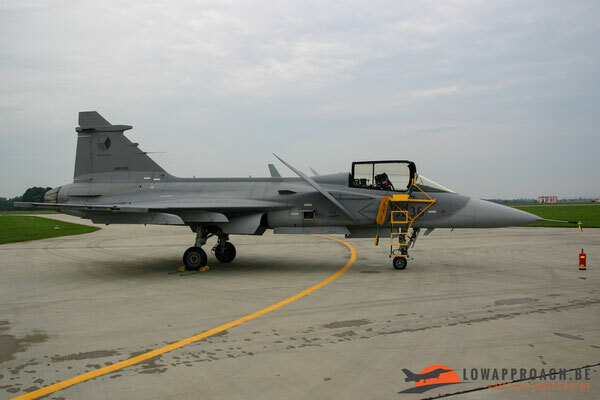 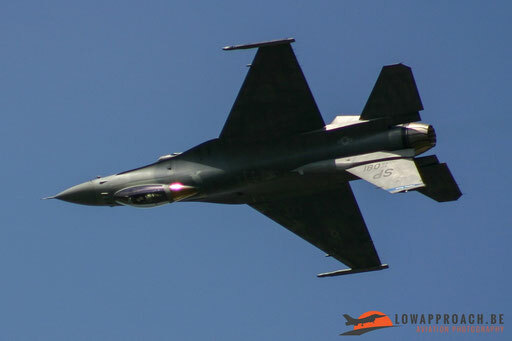 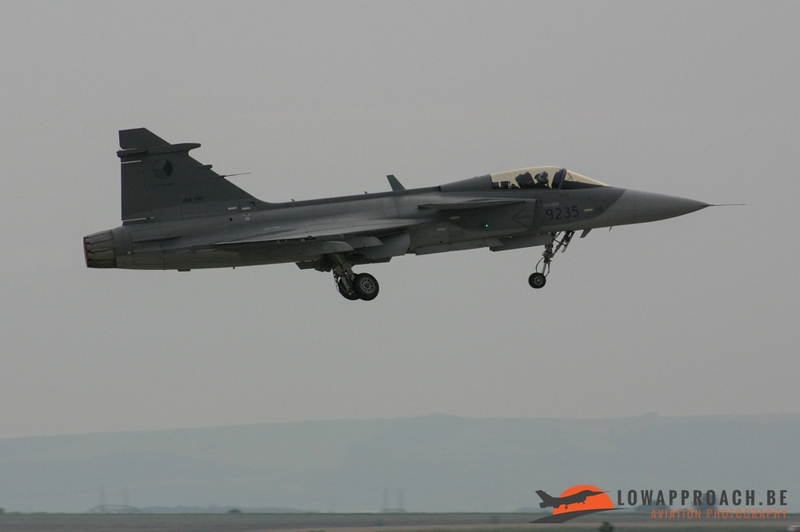 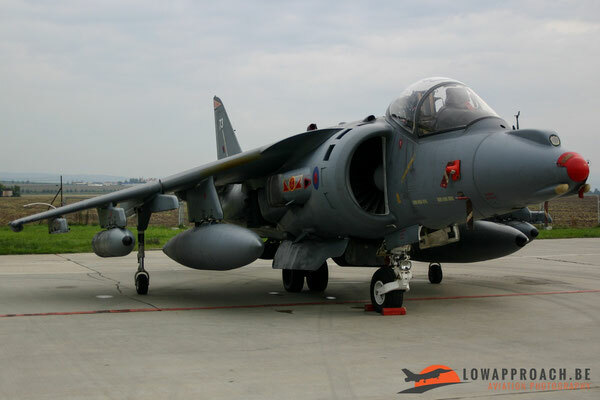 These displays consisted of the Gripen, a Hind helicopter and an L-159 Alca all from the Czech Air Force. 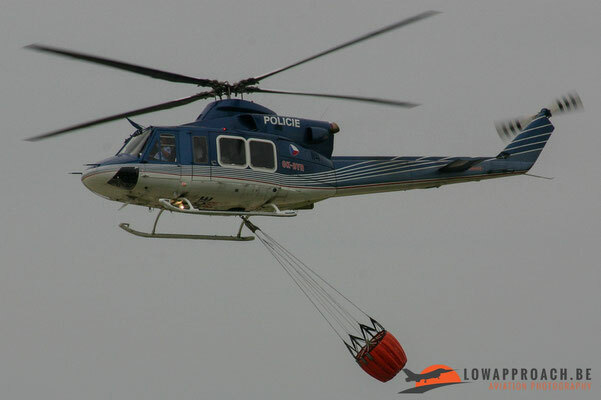 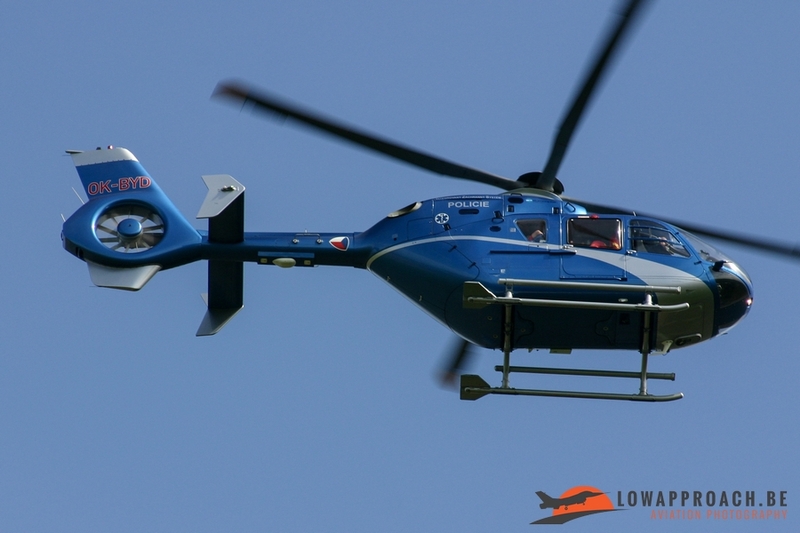 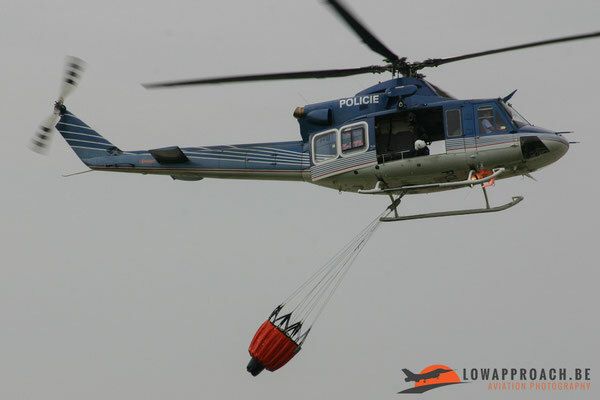 Other displays from the Czech Republic were presented by the Police that showed a hostage rescue and a fire extinguishment demo with their Bell 412 helicopter and the then recently acquired EC135. 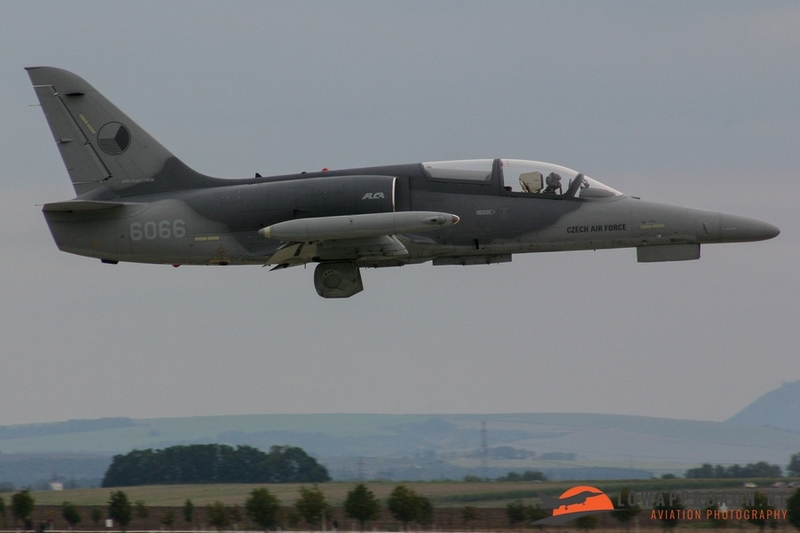 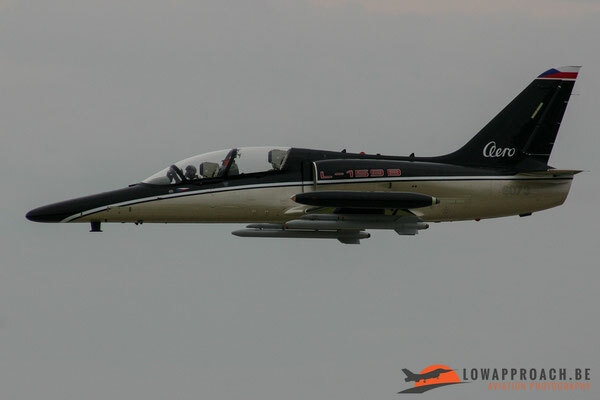 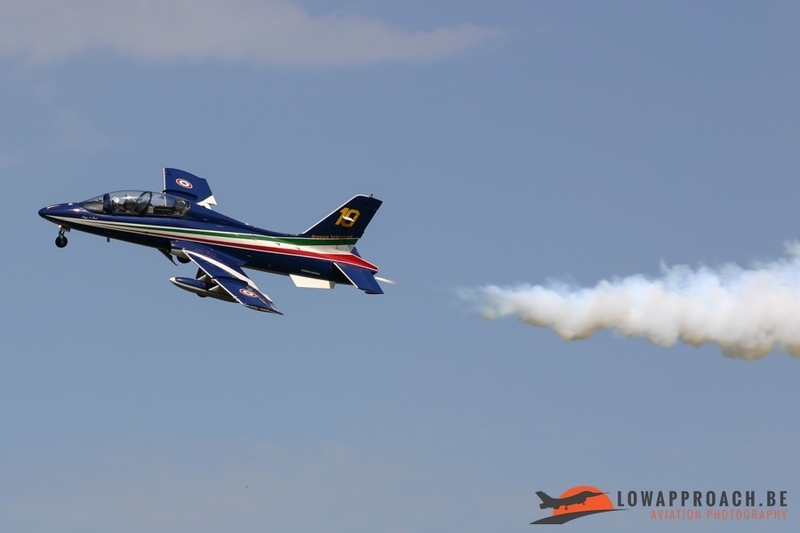 The Aero Vodochody L-159B also performed a nice demo. 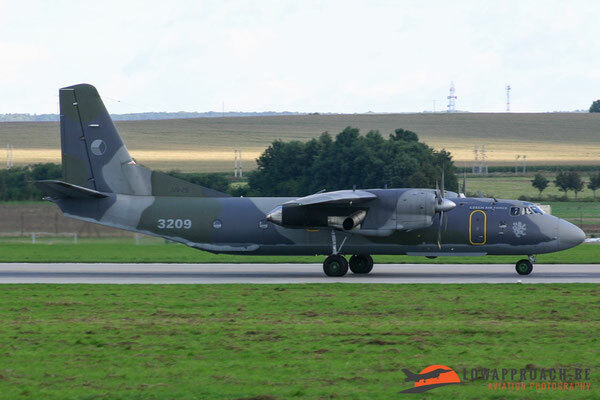 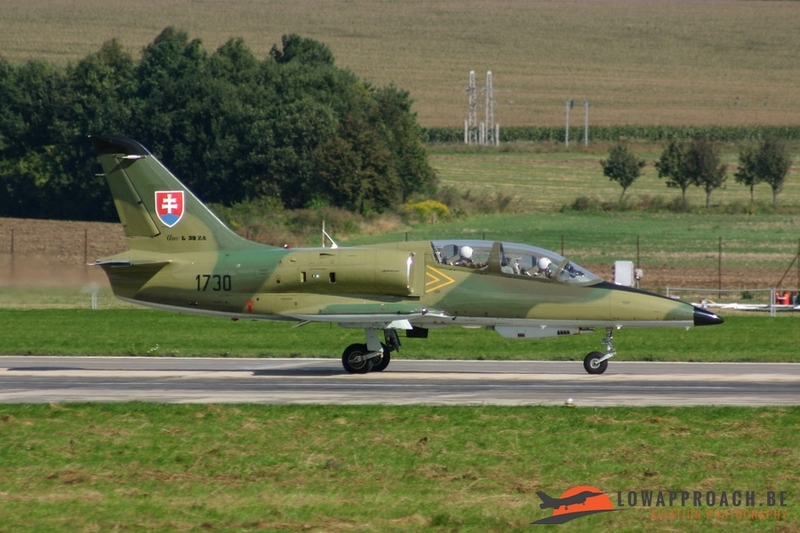 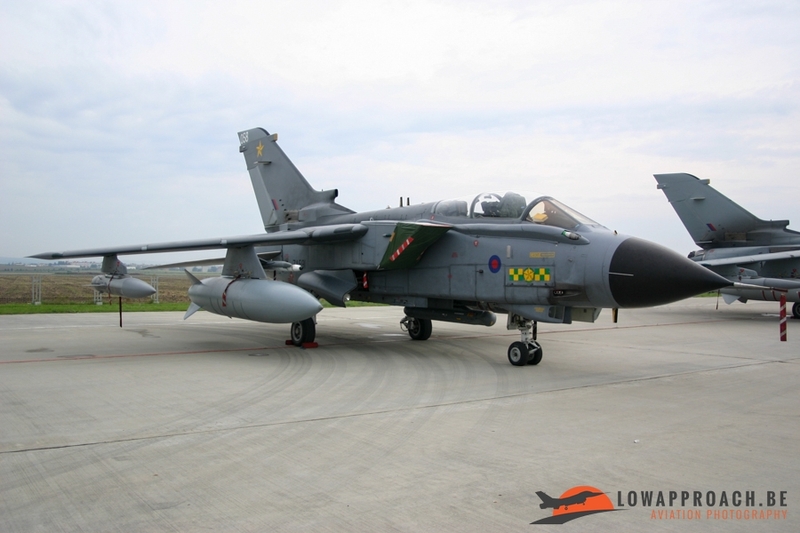 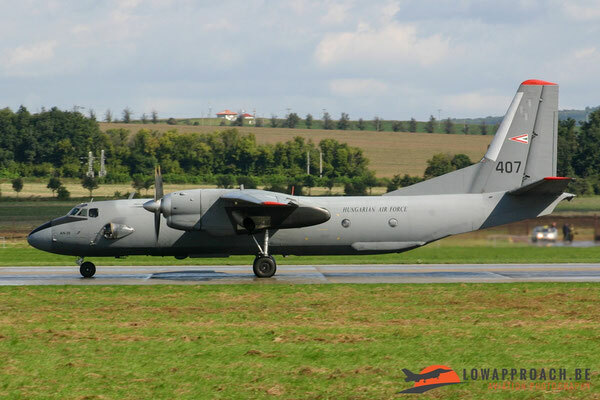 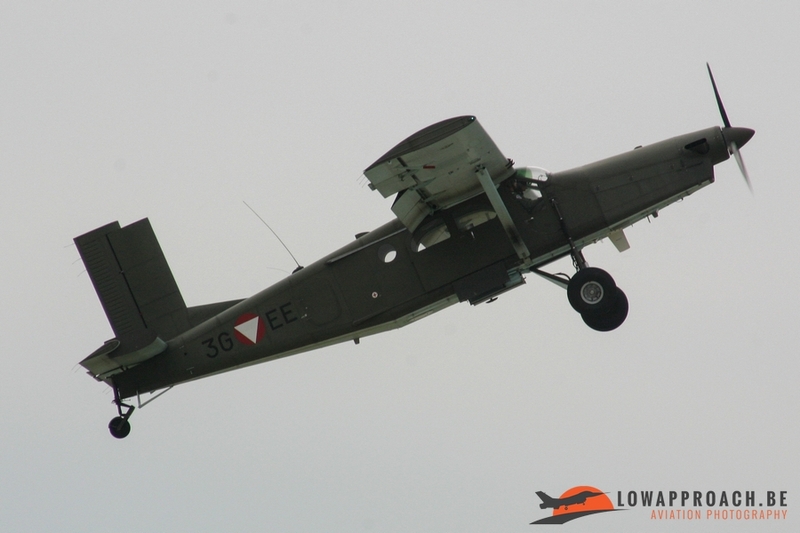 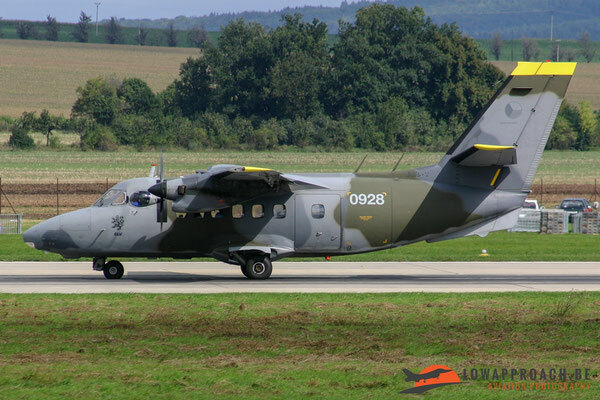 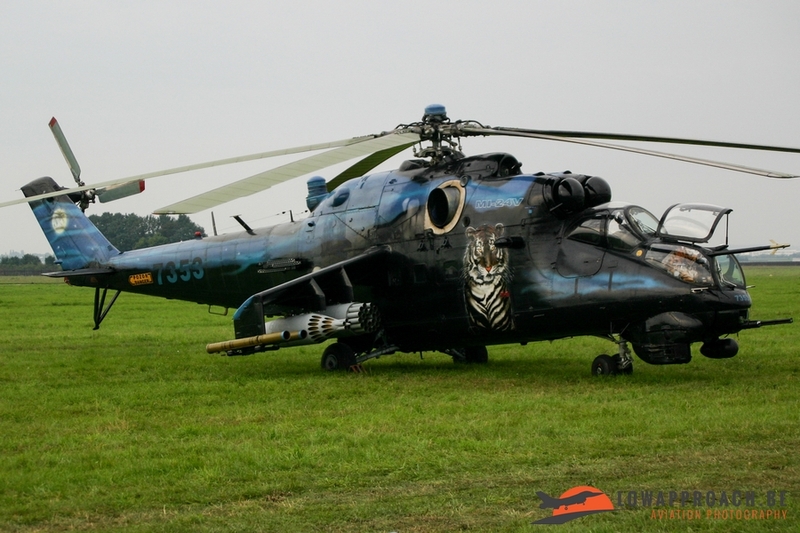 The Slovak Air Force and the Hungarian Air Force participated with some very unique aircraft. 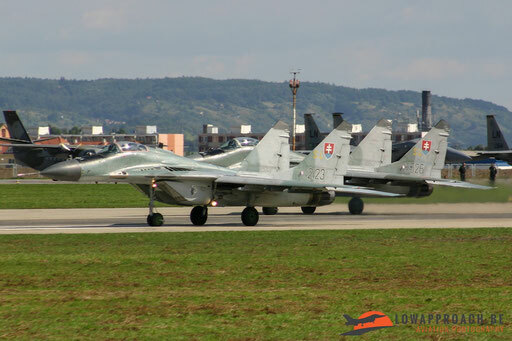 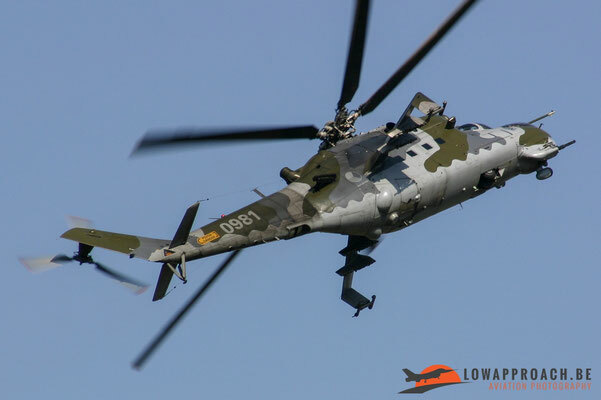 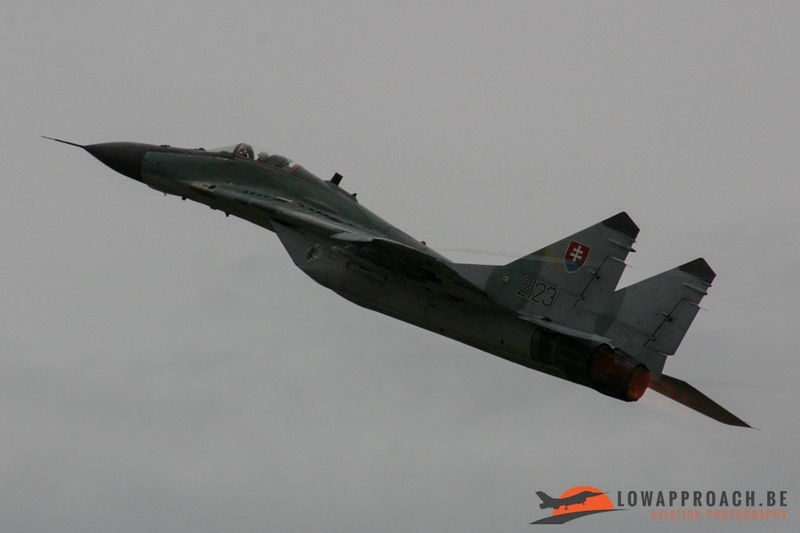 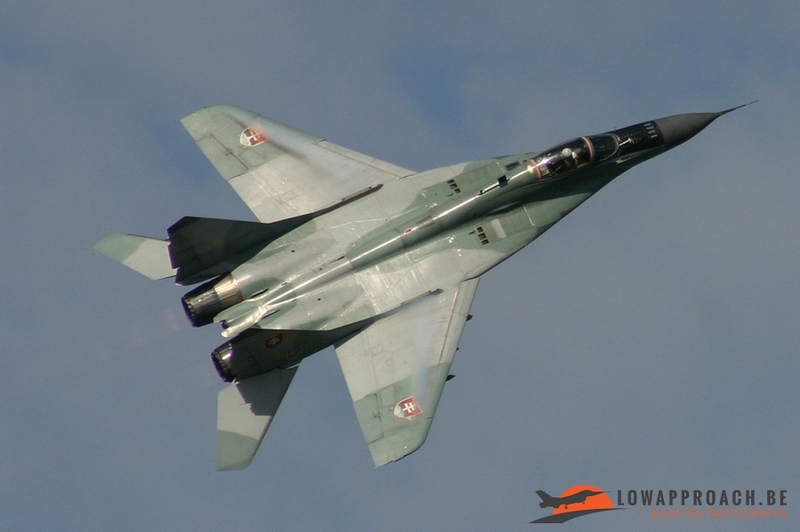 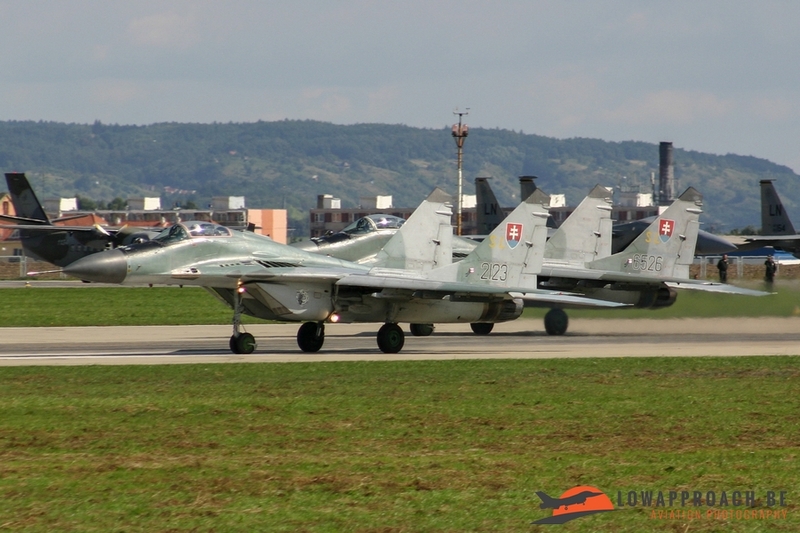 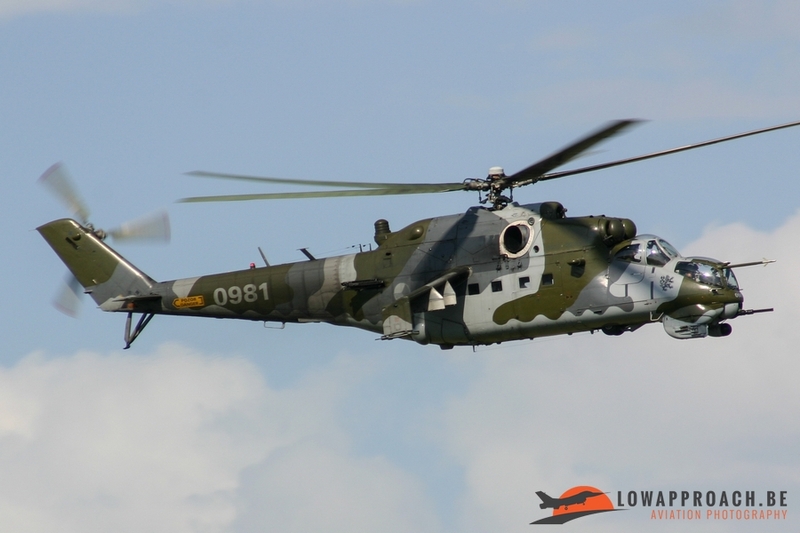 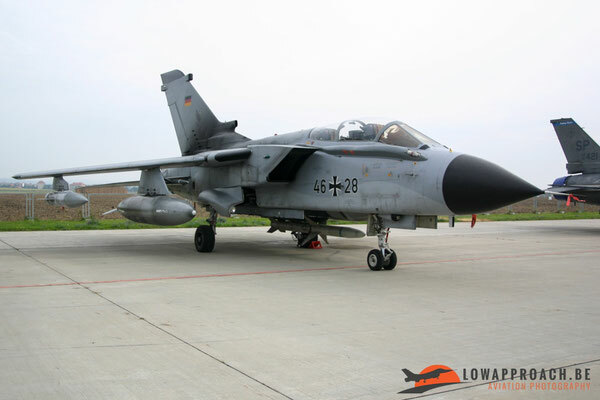 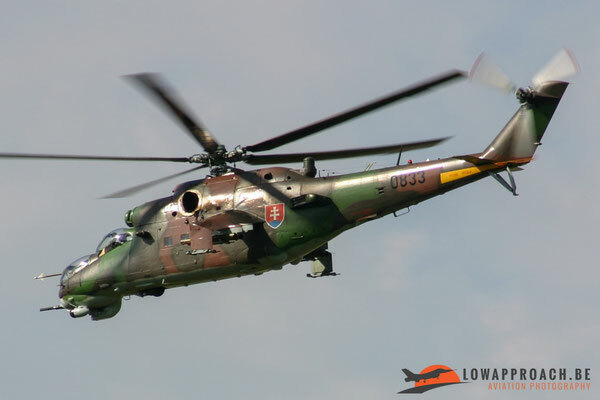 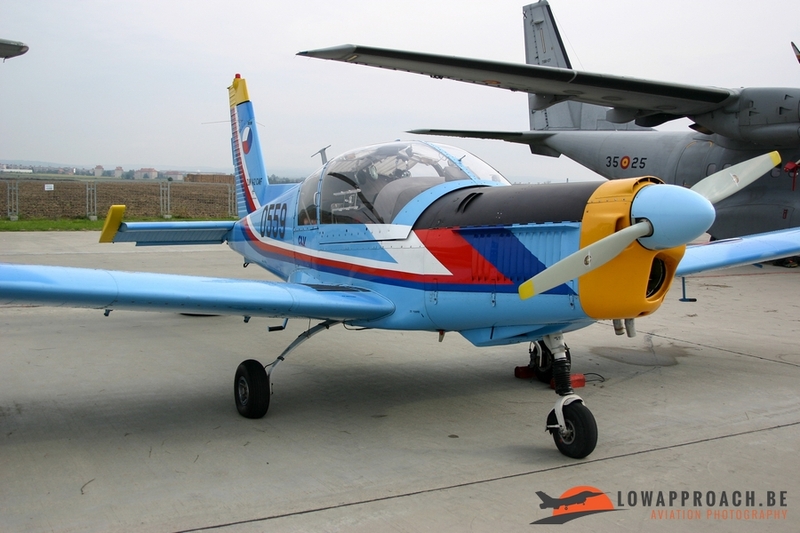 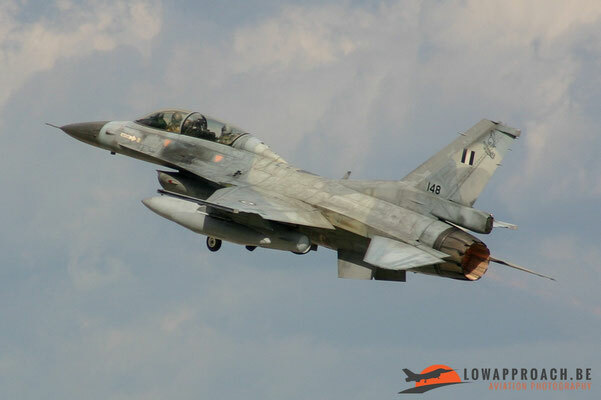 The Slovak Air Force brought us a demo of the MiG-29, Mi-24 and an L-39. 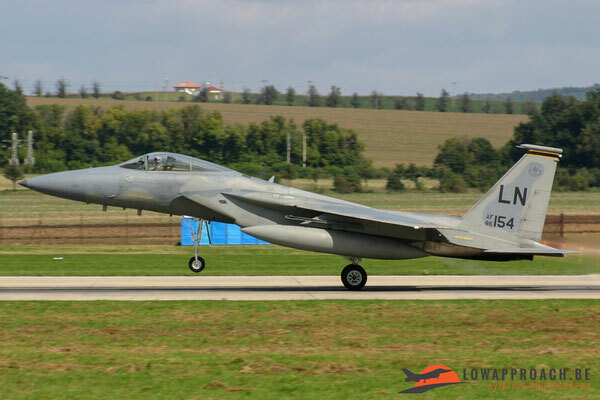 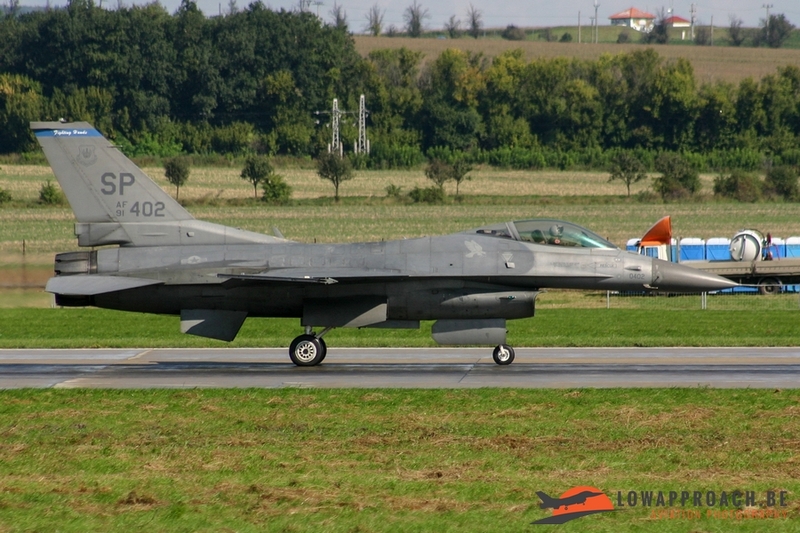 The Hungarian Air force presented us another MiG-29 but now the dual seat version. 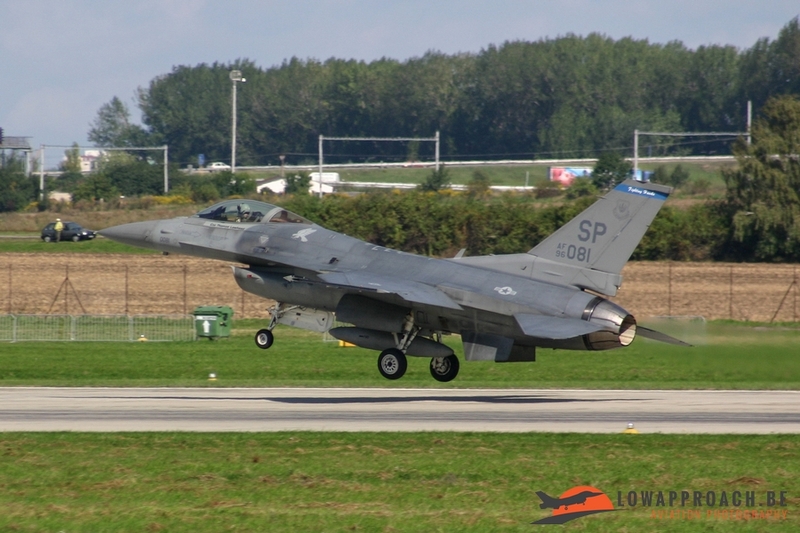 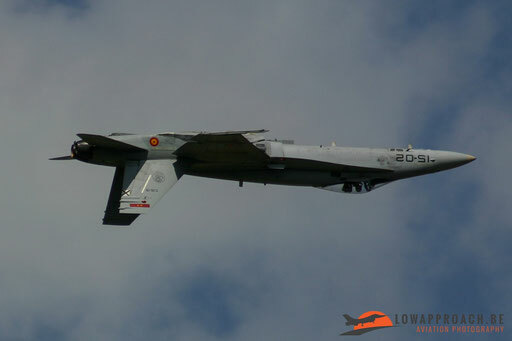 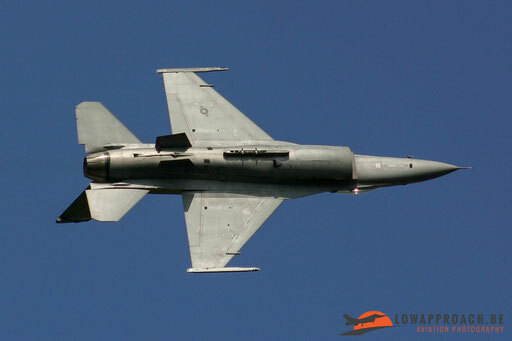 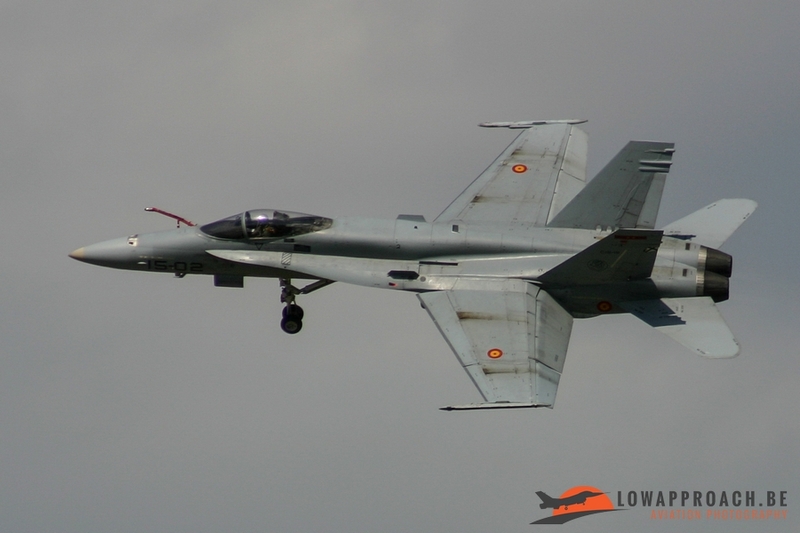 Two other jet solo displays where provided by the Spanish Air Force with an EF-18A Hornet and the Czech Airshow Agency (CAA) also managed to attract the F-16 USAF Viper East Coast Demo Team from the other side of the Atlantic. 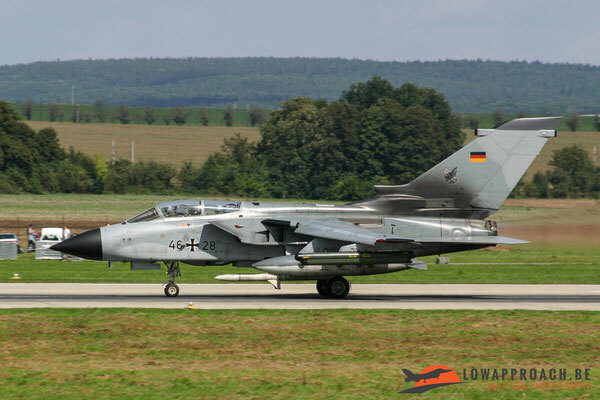 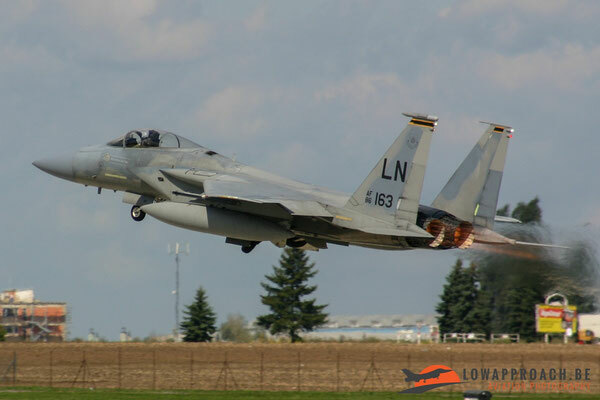 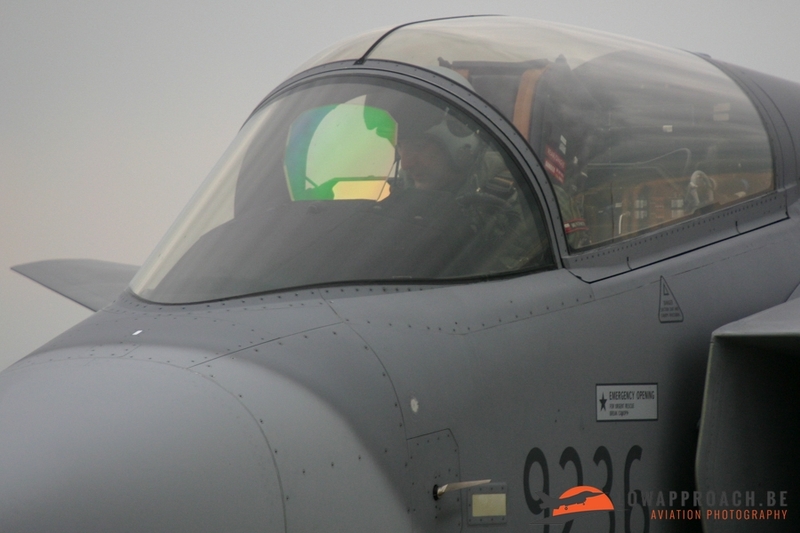 They flew an airplane loaned by the USAFE Airbase Spangdahlem. 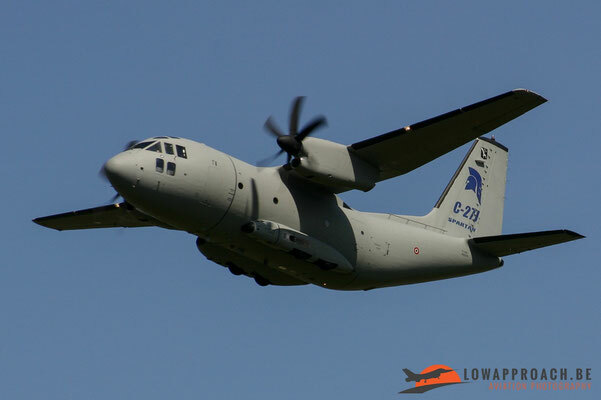 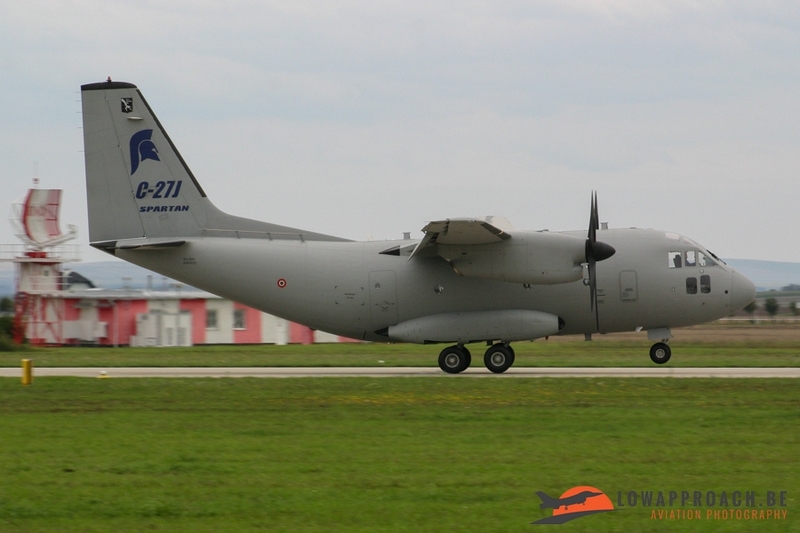 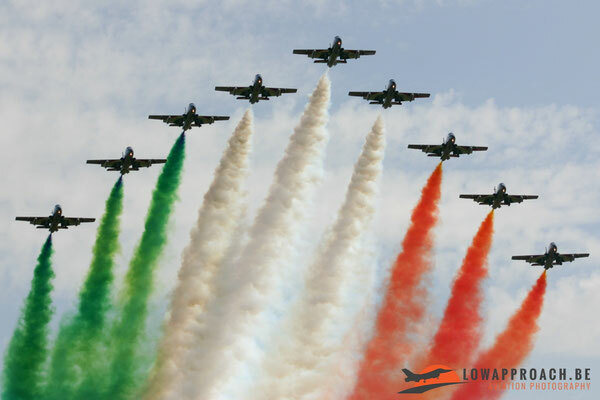 Also three demo teams where present during the two days, from Italy we had the Frecce Tricolori, they also performed a nice formation fly-by with the Italian C-27J Spartan. 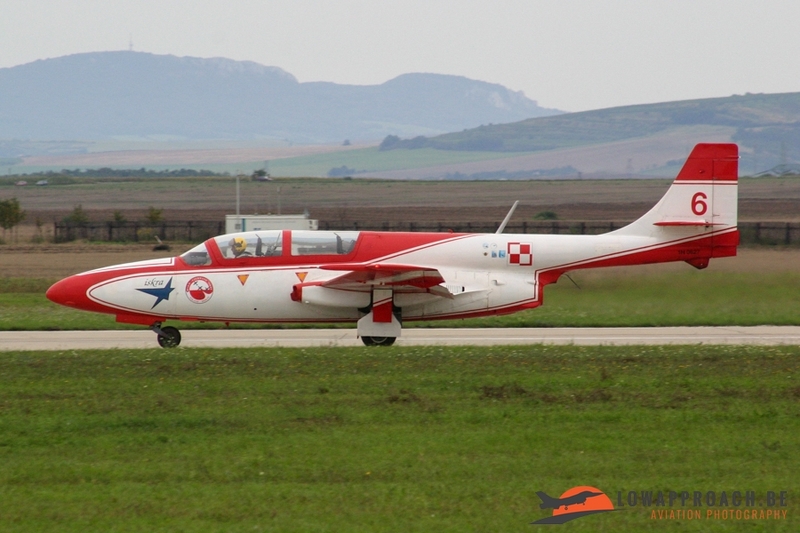 From Poland we saw team Iskry, they fly seven TS-11 Iskra trainer aircraft painted in white and red and from Sweden we had Team 60, this was a very exceptional demonstration because they’re not seen very often outside Sweden. 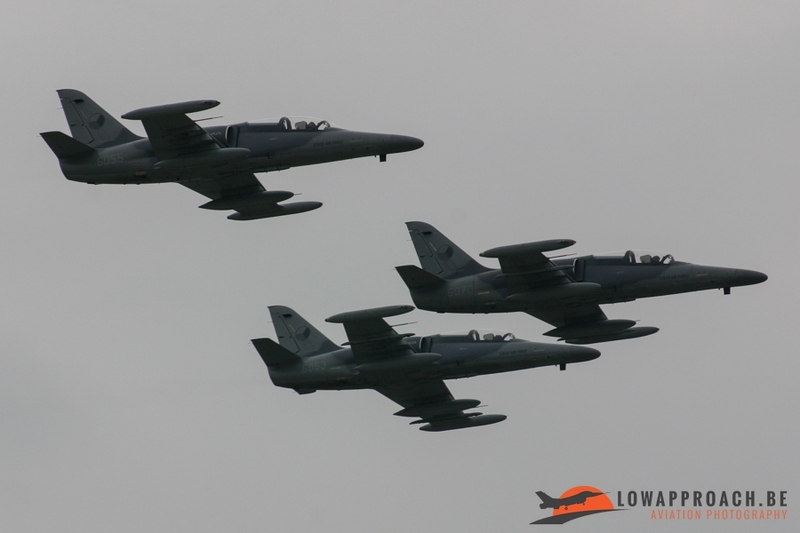 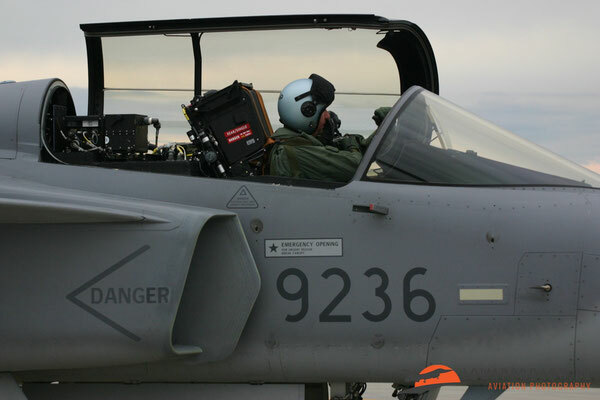 They fly with 6 SK 60 (Swedish Air Force designation for the SAAB 105). 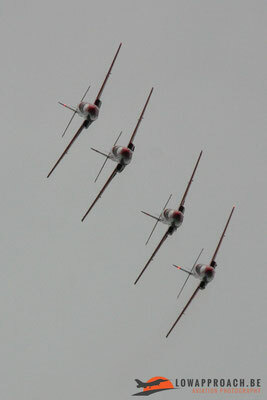 Also a little talk about the static show, in my opinion for taking pictures the static was not positioned very well. 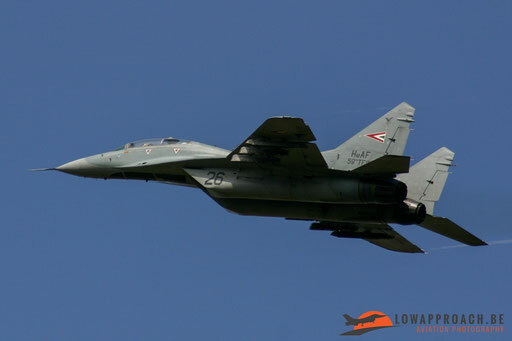 But there were some nice participants in the static such as a British F3 Tornado, two F-15’s from Lakenheath, two Mirage 2000’s from the French Air Force and also some not very often seen planes from the Czech Air Force: an EV-97 Eurostar and an Zlin Z-142 C/AF. A lot more could be seen, for not making this report to long take a view on the pictures below.